An Istanbul memorial for Boysan Yakar, Mert Serçe and Zeliş Deniz will be held on 13-14 September. An Istanbul memorial will be held for our Boysan Yakar, Mert Serçe, and Zeliş Deniz who we lost in a traffic accident. 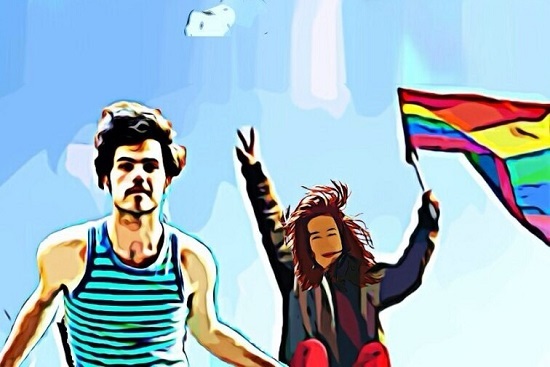 Lambdaistanbul LGBTI made a call to Istanbul’s LGBTI organizations and activists to visit Boysan Yakar and Zeliş Deniz at their gravesites on 13-14 September and food will be distributed after. The memorial program will begin at the Zincirlikuyu Cemetery at 14:00 on Sunday, 13 September at Boysan’s grave. After the one hour memorial, Şişli Municipality buses will take participants to the Yeni Kanarya Cemetery to commemorate Zeliş Deniz at 15:00. The first day of the memorial will end with a visit to Zeliş Deniz’s family. On Monday, 14 September at 18:30, participants will meet at Boysan Yakar’s home and go to Zeliş Deniz’s mother’s house for dinner. On the same day at 20:00, Şişli Municipality will distribute food to those in need at Elmadağ Park and Şişli Merkez Neighborhood Park in memory of Boysan, Zeliş, and Mert. At 21:30, Ayşe Tükrükçü from the Istanbul Initiative “Çorbada Tuzun Olsun” that serves soup to the homeless will distribute soup and helva, prepared after a person’s passing, in memory of Boysan, Zeliş, and Mert.